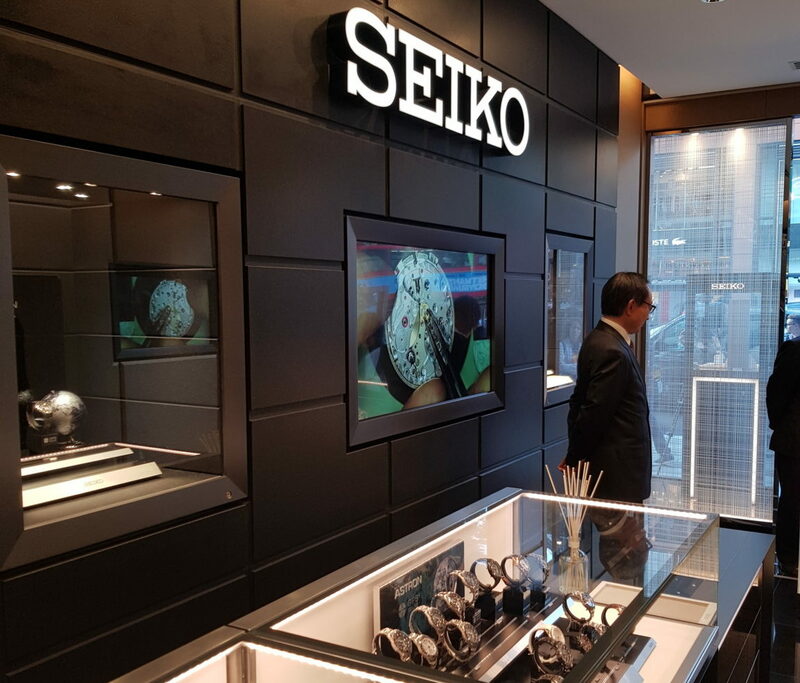 Seiko’s president and chief operating officer was joined by Japan’s ambassador to the UK for the official opening of its flagship store in London last night. Company president and COO Shuji Takahashi welcomed ambassador Koji Tsuruoka to the Knightsbridge store, along with invited guests and media. Instead of the usual ribbon-cutting, the store was officially opened when a ceremonial barrel of saki was broken open. TV celebrity Jonathan Ross — who is a passionate student of Japanese culture — helped with the honours. 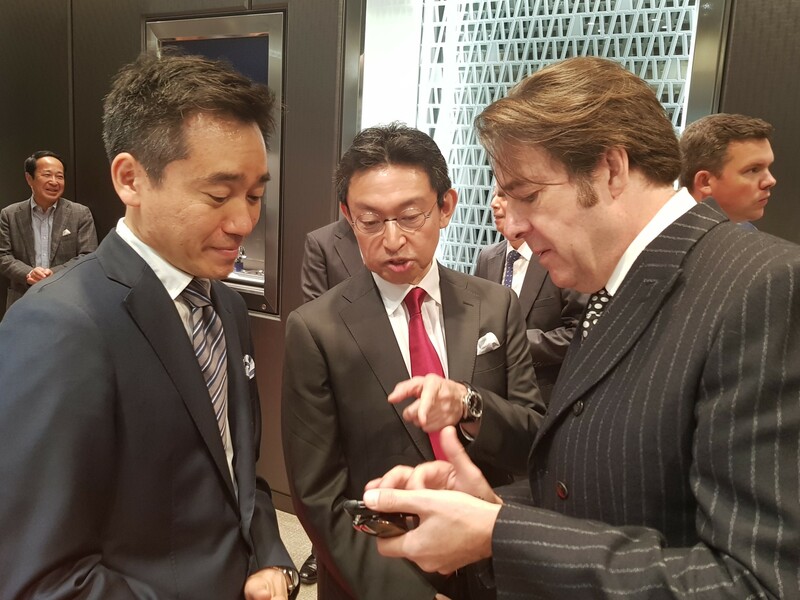 Kinya Iwami (left) discuses Japanese culture with TV personality Jonathan Ross (right). 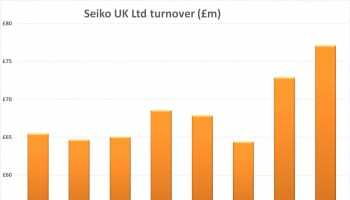 Seiko may be best known for watches priced at under £200, but none of them were on show at the flagship, which has Harrods, Harvey Nichols, Watches of Switzerland and the One Hyde Park Rolex boutique as neighbours in one of London’s most affluent shopping streets. 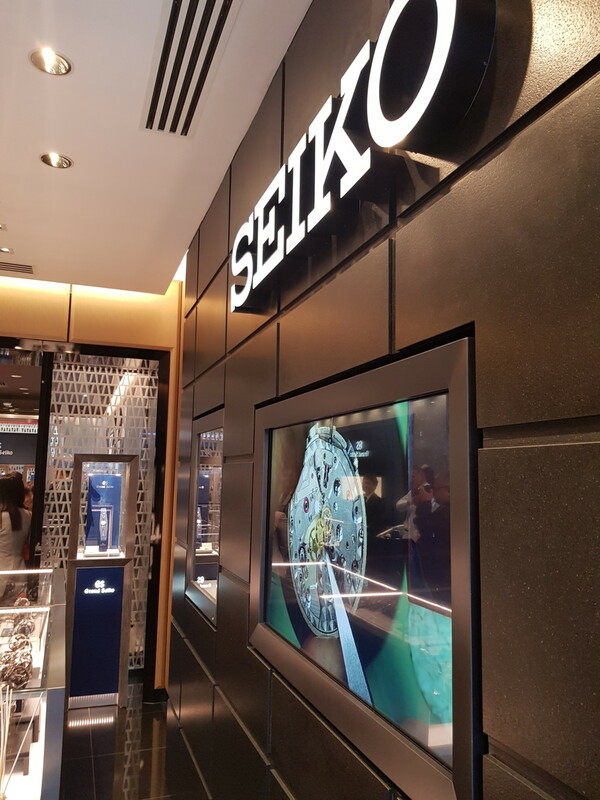 Half the store is devoted to Grand Seiko, the top end of the Seiko family, which is a fully integrated manufacture that makes everything from hairsprings to complete movements and cases. 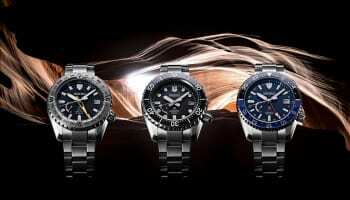 The remainder of the boutique displays high end Seiko models from Astron, Presage and Prestige collections, the majority of which carry four-figure price tags. 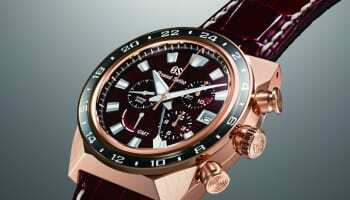 The store even displays Credor watches, the highest horological watch brand in the Seiko family. 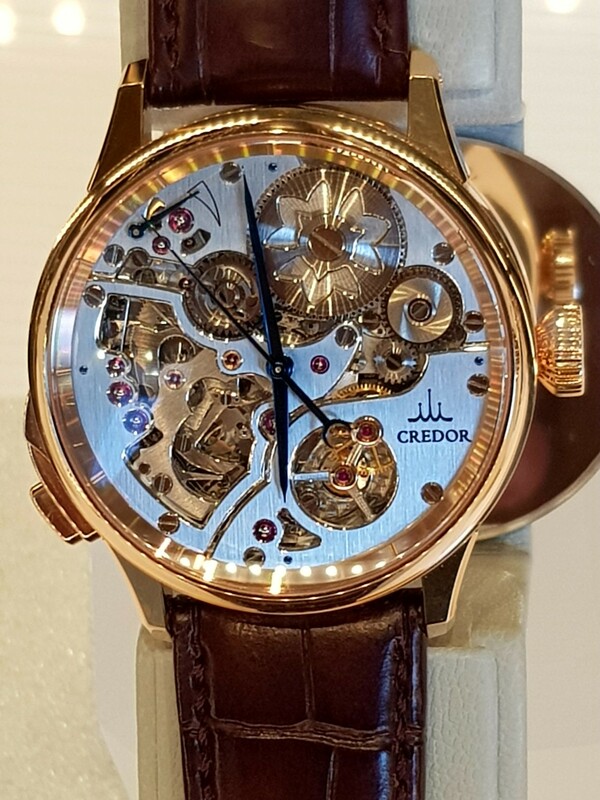 Credor watches are the pinnacle of Seiko’s horological achievements with grand complications and high jewellery craftsmanship. 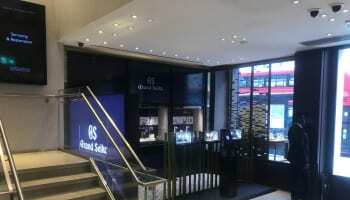 Mr Takahashi said that the store is more than just a point of sale for London, it is a “global flagship” designed to raise the profile of Seiko in the UK and for visitors from around the world. 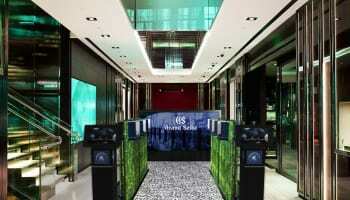 He added that Seiko’s retail partners will benefit from the opening of the flagship because it will raise the prestige of the Seiko brand in the country. “Every city where we we have opened our own boutique has seen retailers benefit from the increased profile it brings,” Mr Takahashi added.